Two years of Galeria Solna in Inowroclaw. In its first 2 years after opening Galeria Solna welcomed over 7 million visitors. 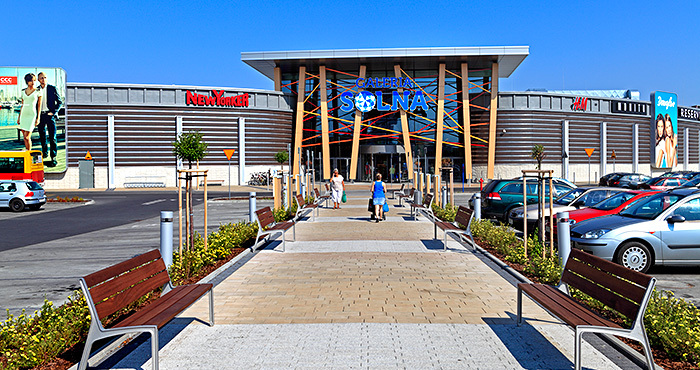 Solna is still the only shopping center in Inowrocław, presenting both retail and leisure activities to the residents of the city and the region. The center opened on May 8, 2013 and is often awarded for architecture and the importance for the region. Year 2015 as a second calendar year of operational activity of Galeria Solna shows significant growth. 4 200 000 visited the shopping center, giving a 3,9% growth comparing to a 2014. The average basket rose nearly 18% comparing to May 2015 and the turnovers grew 22,3%. This success of Solna is highlighted by the number of signed new agreements with long-term tenants, now resulting in an occupancy level of over 99,7% leased. Among the tenants who joined the scheme after opening were MediaMarkt (which replaced Avans), Pepco, Eurobank, Itaka, Kubenz, Clavier, Yves Rocher, Benefactor pharmacy, Pizzeria Oregano, Kogel-Mogel and Remarco. Galeria Solna is not only a shopping center, but also the meeting place in town. Regularly carried out marketing activities (contests, workshops, events pro-sales, loyalty programs, exhibitions) link the gallery to the world of entertainment, culture and fashion. Nearly 100 events were organized throughout the two years, as well as number of thematic outdoor campaigns or over 200 consultations with a stylist as part of a free service for customers. In 2014 and 2015 Galeria Solna reduced the costs of media consumption and operating costs of the building, in close cooperation with the tenants.